Hello, Poppytalk readers! I'm back today to gush about a Dublin-based design company I'm a bit smitten with at the moment. 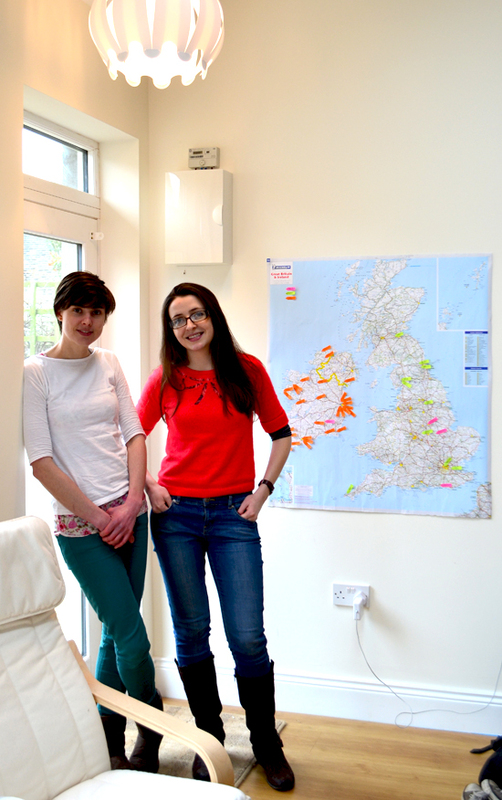 A few weeks ago, I stopped by the Klickity studio in central Dublin to have a chat with the owners, Elizabeth Fingleton and Kate Cronin. I left that day feeling equal parts inspired by them and thrilled for them. Here's why. After studying at Dublin's National College of Art and Design, Kate participated in a program where graduates were paired with mentors from the business community. Enter Liz, who was working at a large accounting firm. They met, worked together for the duration of the mentoring program, and later took the leap and went into business with together. And so began Klickity. Liz quit her accounting job and the two now work full time from their studio. 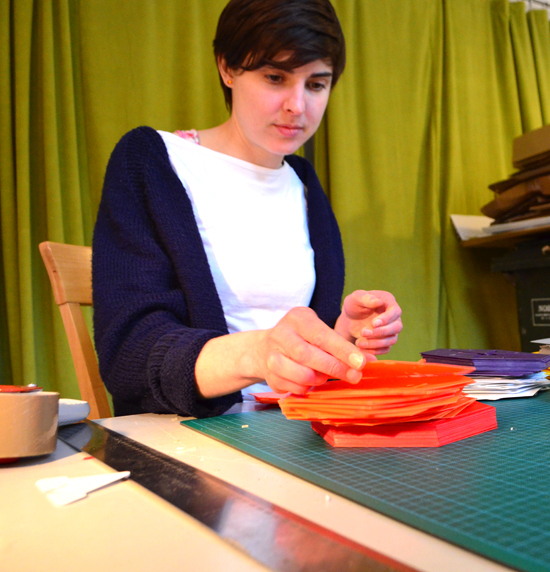 Liz tackles the business and the marketing, and Kate works on product design. Which brings us to the Klickity designs. Modern and bright lampshades and table lamps and sleek hanging wall notice boards, as well as a sweet set of "Scribble Boxes" and frames. All manufactured in Ireland with the environment and sustainability in mind. Kate and Liz explained that one of the best parts of working together is having another person to bounce ideas off as they're trying to make Klickity an international success - how many of what product to order, what trade shows to attend, what markets to focus on. And so far so good. 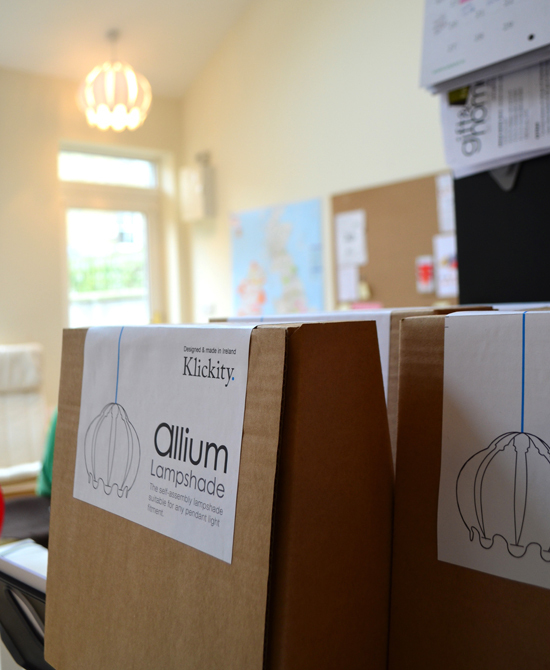 Klickity is making its mark in Ireland and making inroads in England. 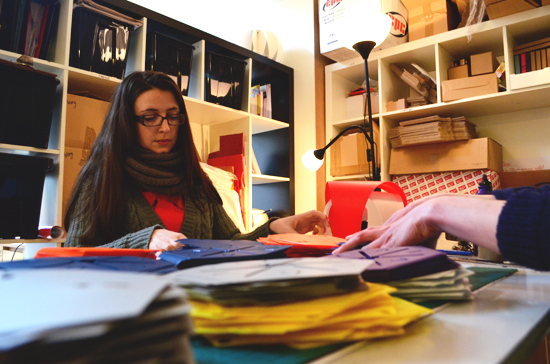 With a goal of well designed, sustainable products produced in Ireland, Kate and Liz are well on their way. You can see a little more about Klickity in this recent clip from Irish news channel RTE. 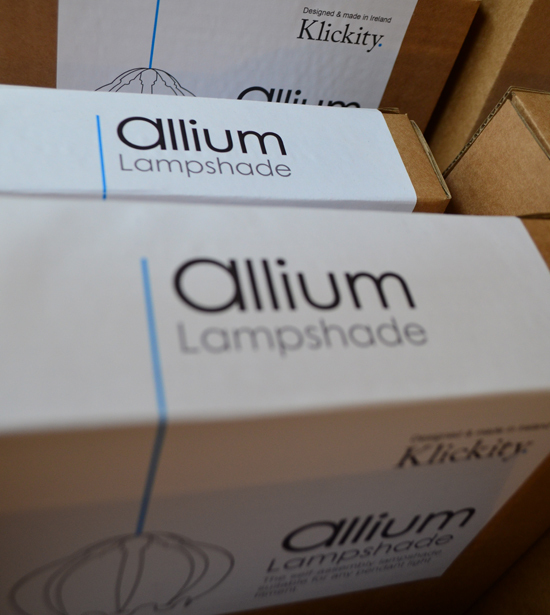 Website: Klickity.ie, products available from their website. Emily Westbrooks is a Dublin-based creative and travel writer, artist and blogger. Raised and educated in Maine, Emily married an Irishman and moved to Dublin in 2008. She lives with her husband, Michael, on the northside of Dublin. Originally planning only to stay for a year, she now calls Dublin home. She loves exploring Dublin, adventuring through the hills of Ireland, and traveling around Europe,. And she really loves to write about her adventures, which she shares over on From China Village. 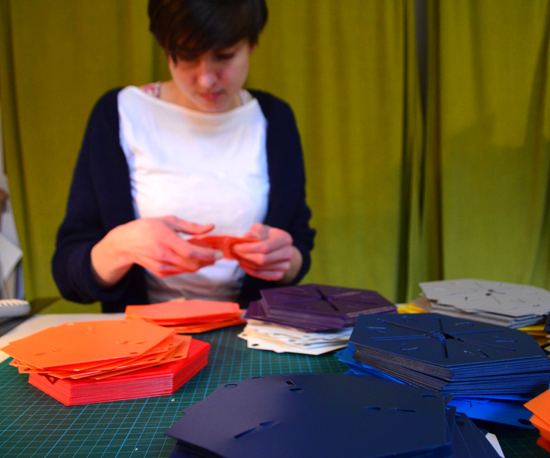 She's passionate about design, and can't wait to change your perception of Irish craft and design.